International trade fair of equipment and products in agriculture, horticulture, viticulture and animal husbandry. 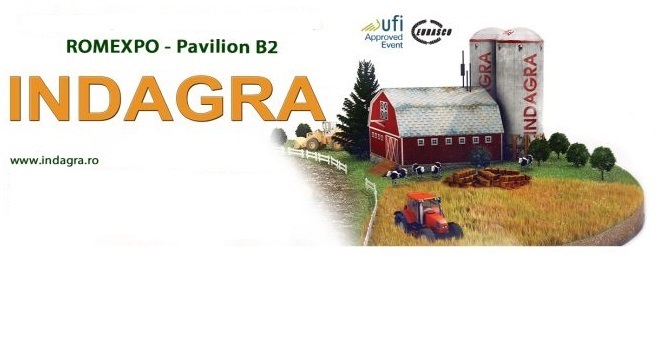 The biggest and important agricultural event in Romania, INDAGRA is organized by ROMEXPO with the Chambers of Commerce and Industry of Romania . In 2018, the 23rd edition will take place from 31st of October and 04 of November 2018, at Romexpo Exhibition Centre, indoor and on the outdoor platforms. Why to exhibit at INDAGRA 2018 Bucharest? As international class event, INDAGRA is the ideal platform to close new contracts and partnerships and the ideal environment for negotiation and contracting between the largest companies in the industry and agriculture specialists.